Your Hips Don't Go Out of Place! If I had a dime for every time one of my patients told me “my hip is out of place,” I’d be a rich man. While I can understand why this is such a common notion, I’m here to tell you that your hips simply do NOT go out of place (for the most part). Furthermore, telling people this may actually do more harm than good! First, it’s not your actual hip that’s “out of place.” If your hip was out of place, it would be dislocated, it would be painful, and you’d be already on your way to the emergency room. 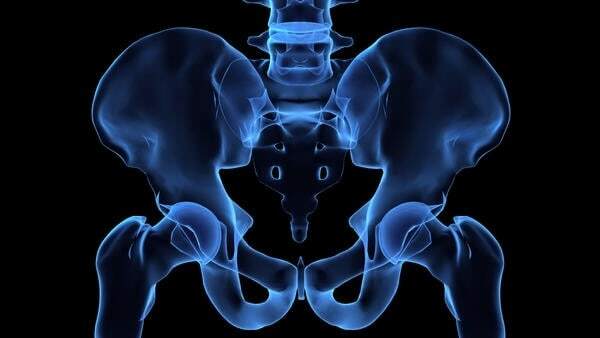 Second, when people say their hip is “out of place” what they really mean is that they are experiencing one-sided low back pain in the region of the SI joint. It is usually a perception of something being stuck, not moving properly, or even just feeling out of whack. What many have been told is that in order to “correct” this, you need specific hands on techniques like muscle energy or manipulation to put your hip “back in” in order to move correctly again. However, I will show you, this mindset can have serious repercussions. In physical therapy school, I was taught that muscle energy techniques (MET) could help realign a pelvis that is “out of alignment.” To perform them, you have the patient contract a specific muscle against the pressure of your hand or body to help “pull” the pelvis back into alignment. After the muscle energy technique is completed, you then tell your patient that your maneuver helped realign their pelvis, essentially “putting their hips back into place.” What gives? If simply pushing your leg against your therapist’s hands is enough force to “put your hip back in” that implies that it is very easy to “throw it out” again. How in the world are patients going to buy into the concept of exercises such as loaded lunges and squats (things that actually DO cause permanent structural change) if their hips are “thrown out” so easily by the manual pressure of your hands! I’ve had this happen to me multiple times with my patients. Everything is going well, he/she is in no pain, and it’s time to teach a loaded lunge or squat, and what do I get? Oh no, I can’t do that, I’ll throw my hip out again…my chiropractic just put it in last week! Here’s the truth. While hands on techniques can cause a rapid reduction in pain and perceived tightness, proper education is KEY in order to prevent this subsequent and inevitable fear of movement. If your hips could go “in and out of place” with something as simple as manipulation or muscle energy techniques, your body would crumble to pieces under a heavy squat or deadlift. The last time I checked, it doesn’t. This is because your body is made up of RESILIENT structures. In fact, your body is so resilient that it takes over 1,000 lbs. of force to deform fascia by even 1%. Tell me again how your hands on techniques are causing structural changes? Do muscle energy techniques and spinal manipulation cause instant reduction in pain? Absolutely. Is this instant reduction in pain due to correcting a biomechanical abnormality or changing something structurally? Absolutely not! If you are someone who likes performing muscle energy techniques or manipulations (I utilize manipulations in the clinic every day) it is very important to utilize proper education. I tell my patients that I’m NOT realigning their bones or putting something back into place, I’m simply doing something that their brain seems to like so it rapidly decreases pain in the area after the technique…that’s it. I also stress that these techniques do not offer a permanent solution to their pain, and heavily promote threat-free movement and loading immediately after these techniques. 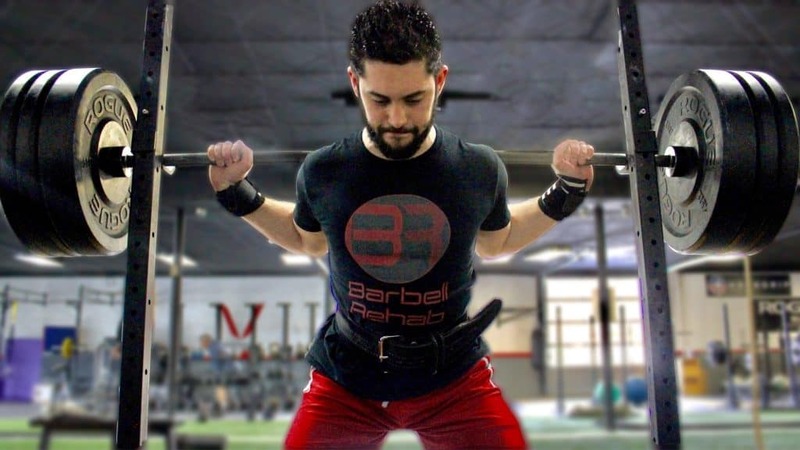 For those who do experience a sensation of imbalance or “locking” on one side of your back, one of my favorite loading strategies is to perform a loaded lunge variation with extra range of motion, such as the reverse lunge from a step. I’ve just found that there’s something about loading the hips at end range that helps clear up perceptions of one-sided tightness in both the low back AND hips, when something like squats and/or deadlifts cannot be tolerated. Give it a try and let me know what you think! If you are dealing with recurring one-sided hip/low-back pain try taking a break from heavy loaded squats and deadlifts and opt for loaded lunge variations instead. Most importantly, stop walking around in fear of throwing your damn hips out and go MOVE!